Sneakers are part of culture. Sneakers are art on feet. They show expression no matter the gender, race and financial background. They are part of our culture. I have mixed feelings on the cost of sneakers these days moreover limited pairs only being given to those of privilege, who end up selling pairs for outrageous prices. By the way, the Nike Air Yeezy 2 “Solar Red” reselling for $5,000 and still being purchased is mind-boggling. The design of the sneaker is a work of art. Is there really value in a sneaker? I don’t believe so, but I know there is design, expression and history. My first sneaker of the month is the Air Jordan VI “Carmine” for May. Originally designed by the legendary Tinker Hatfield for Michael Jordan, the Air Jordan VI is a shoe of many firsts. The iconic silhouette (Infrared color way) was on Michael’s feet as he captured the first of six titles and features design elements previously not seen on any basketball sneaker before it. 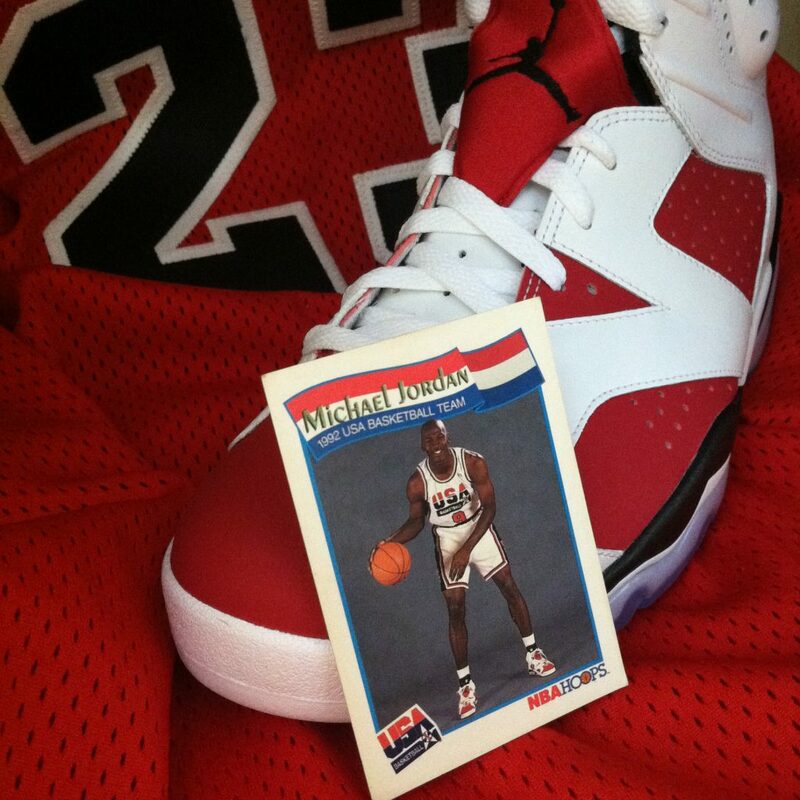 The Carmine color way is one of the best ever created for the greatest of all-time in MJ. They have only been retroed once and MJ only played in them for a couple of months, but the shoe gives off a unique quality.